Tunisian Crochet Berry Stitch is a stitch I had seen on facebook a few months ago. I had seen that a few people were going to attempt to work on figuring out this beautiful stitch so I never bothered with it. It wasn't until one of my fans contacted me and asked me if I would try because the people that were attempting it were not having any luck. I was in a rut with a pattern I was working on that I figured this would be a great way to distract me for a little bit. My first attempt at this Tunisian Crochet Berry Stitch looked ok, but I was missing on how to work the green stems, mine just didn't look like the pictures I was seeing. I took a second attempt and figured it out, mind you I still noticed a little difference between my work and the pictures. My stems were not as full. I was half way through filming when people started posting about this stitch on Facebook. Someone linked a chart and that's when it occurred to me how the stems are worked, I mention in the video how they are worked up fuller but I still use the option that I figured out on my own. Tunisian Crochet Berry Stitch Swatch..
Notes: You will need to have a basic understanding of Tunisian crochet. 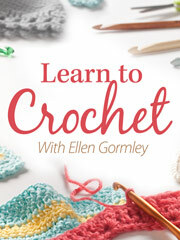 If you don't know anything about Tunisian Crochet I suggest you watch these 2 videos.. Thanks so much Debi for working this pattern out, much appreciated! You are an angel! 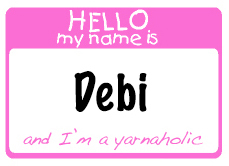 Thank you so much Debi.. This is an awesome tutorial. The instructions are so clear and slow.. THis video is perfect learning experience. Appreciate the time you have taken to solve this mystery gng on for a few days now :)..
I’m for sure going to try this stitch. Great instruction! I love how this stitch looks!! I love this pattern and I love the purse too but the pattern to purse says I need a password. How do we obtain the pattern?? The purse pattern is not currently available. It’s being tested and will be available soon. 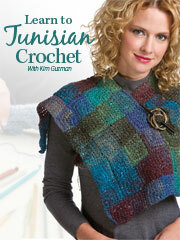 to be honest, I’ve never looked into Tunisian Crochet. With this video, I don’t even feel the need to watch the two videos you suggested! You explain this stitch so well that I’m going to run out and get a Tunisian Crochet hook as soon as I have some extra money! Ty TY TY! My e mail is [email protected]. thank you! I do not have any written instructions except for the bonnet pattern I made on raverlry. I love your tutorial. thak you ! love your purse how I can dowload the pattern? The written pattern is available in my ravelry shop. Hard to say without seeing what’s going on.. it could possibly be that you need to pop them out. To do that gently stick your finger in them from behind and push them out towards the front.